I hope everyone had an incredible weekend! We have had the most beautiful weather here, so unlike Seattle this time of year. The sun has been shining and everyone is loving it! I went out with some friends on Saturday and it was such a nice night to sit outside and have a glass of wine. The floral arrangements on the table were so simple yet so perfect! It might have been 75 degrees outside, but that didn't stop me from indulging in my favorite fall drink at Starbucks! I'm telling you... the salted caramel hot chocolates are to die for! What are you waiting for? I spent yesterday with my sister and we went to her local pumpkin patch along with my niece. 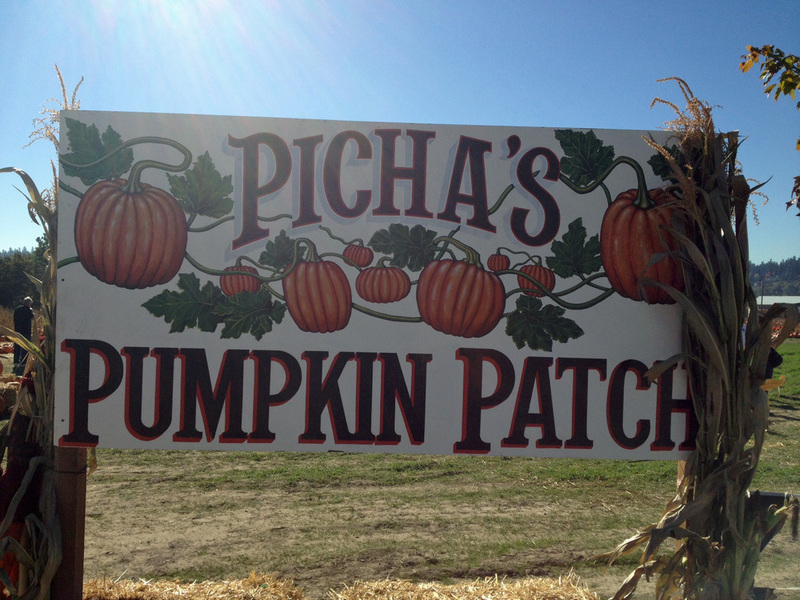 I haven't been to a pumpkin patch in years! This is so much better than going to the local grocery store! In no time at all the wheelbarrow was getting quite full. I thought I'd buy a pumpkin or two, but I ended up with six pumpkins for my house! Now I just have to figure out where I'm putting them all!